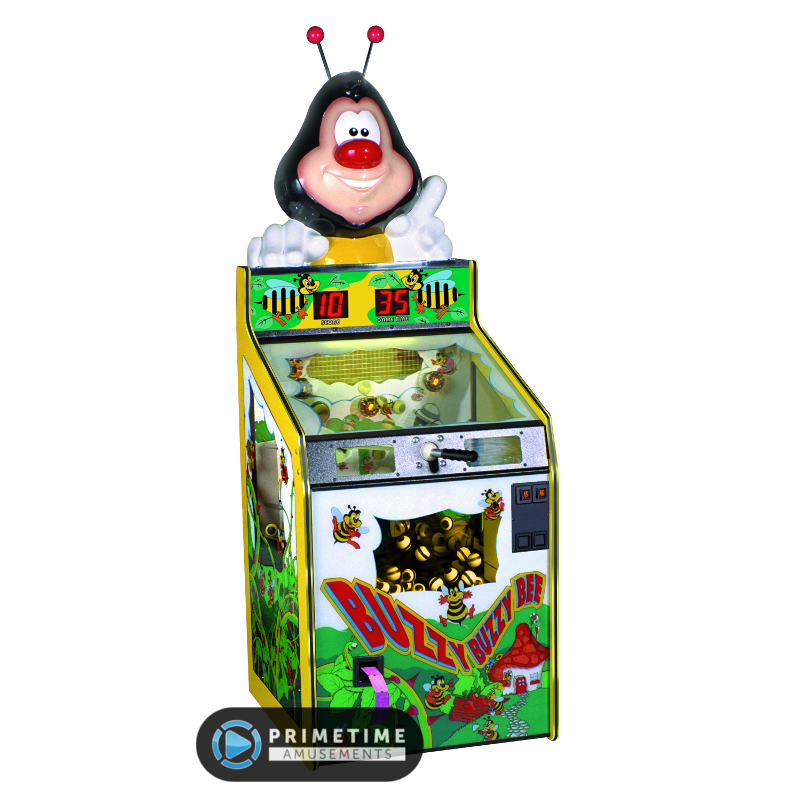 As the saying goes: “Time flies when you’re having fun.” With the new Fly O’Clock by Magic Play and Barron Games, that saying will take on a new meaning! Fly O’Clock is a new app-to-arcade title that takes the popular mobile game and gives it a proper big screen upgrade. The attractive cabinet is made to look like an older alarm clock with a distinct circular screen and bold colors. 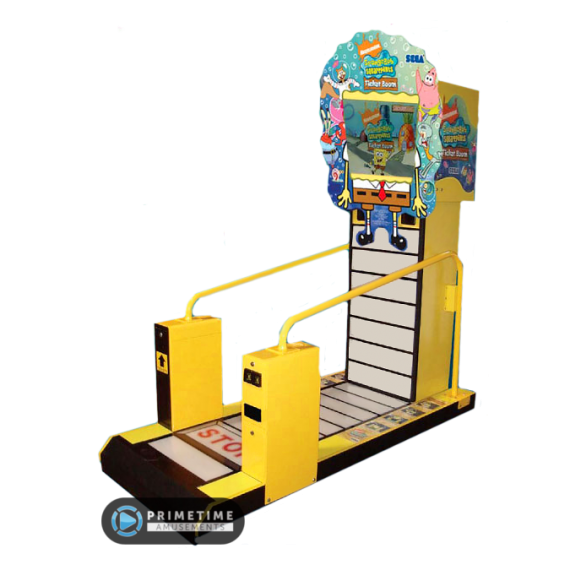 As a single button operation game for 1-2 players, it also is perfect for players of all ages and abilities. 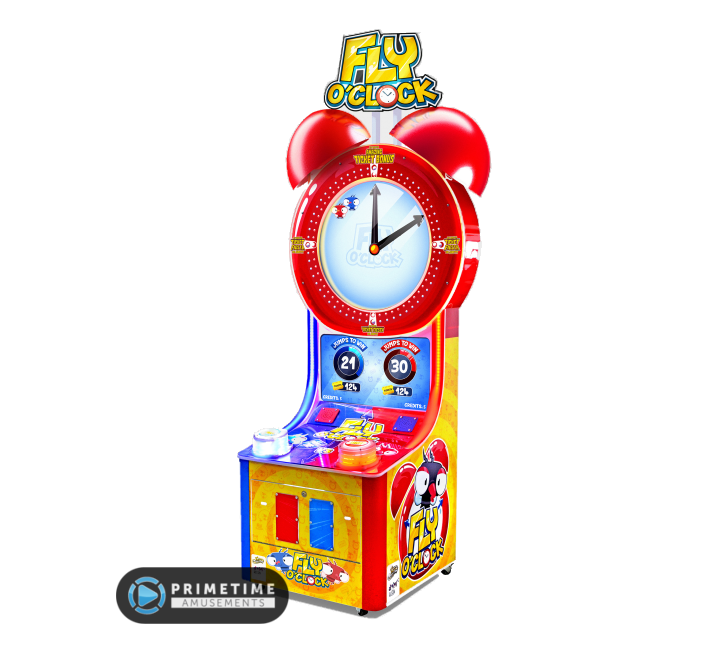 The premise to Fly O’Clock is simple – by pushing your Jump button, your fly will hop to one of four spots on the face of the clock. All you have to do is avoid touching the electrified clock hands and survive for sixty jumps which translates into a game hour. 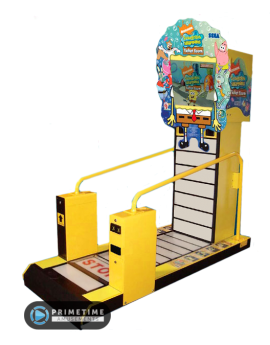 Every fifteen jumps, there is the ‘Ticket Fiesta’ where players are invincible, grabbing tickets with each hop that they can manage within a few seconds. 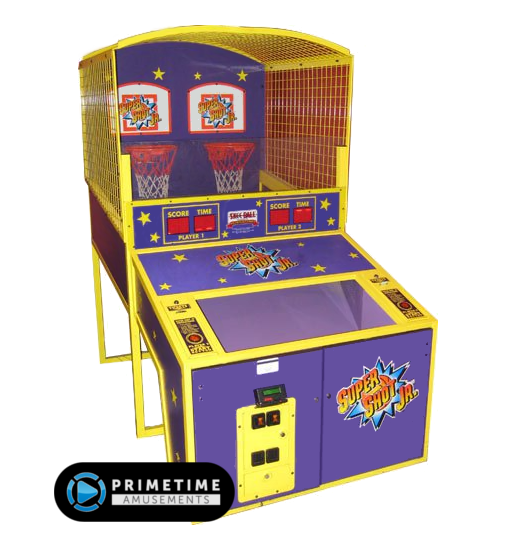 It’s the best of quick play and skill wrapped into a high earning package! 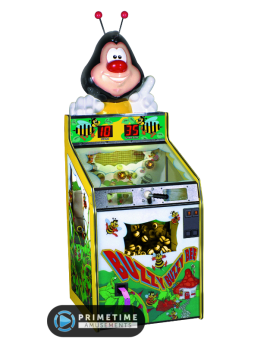 – Survive for 60 jumps and win the Jackpot (operator adjustable)! Check back soon for a video of Fly O’Clock in action! Stomp On The Light To Win The Tickets! 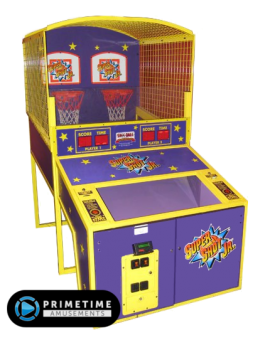 Installed Dimensions: H: 93″, W: 53″, D: 87″ Weight: 474lbs. Installed Dimensions: H: 75″ W: 26.25″ D: 31″ Weight: 300lbs. Manufacturer: Bay Tek Games Inc.